The existing products of your online Volusion store need optimum level of exposure. When you want your wide assortment of products to grab eyeballs across multiple shopping channels, you need marketing pros to sketch a high-impact multi-channel marketing plan, where top marketplaces feature in your wishlist. The name Walmart itself echoes its great potential as a marketplace that can give any Volusion merchant the exposure they are looking for enhancing business. Debunk the myth that the Volusion Walmart integration process will be a Herculean and arduous task when you have join hands with us. We, at ChannelSale, with our cutting edge technological assistance ensures that we offer you the best of Walmart integration services. Ranging from automated product listing, inventory management to detailed and accurate reporting so that gauging your product performance becomes easy, we offer you an all encompassing solution. Why will you go for us? We facilitate your existing Volusion products to get seamlessly listed across Walmart marketplace. Our system automatically provides in-depth product performance reports so that you can easily manage the products sales. We help eliminate product orders underselling and overselling issues by way of having synchronized automated inventory management between your Volusion store and Walmart. 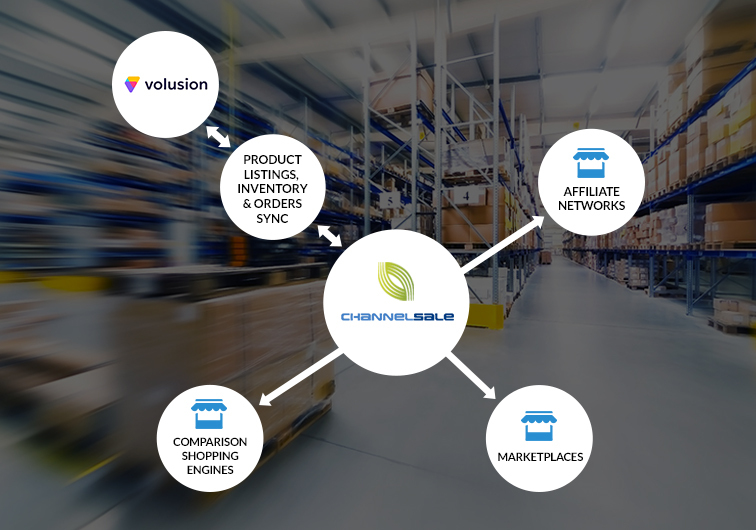 ChannelSale’s Volusion extension for Walmart supports simple or multi-variation products / parent–child relationships. Even if you have varied products of multiple sizes, colors, materials, we have the solution! Bundled, kit or group products are also handled. Volusion to Walmart granular level product category mappings pave the way for apt listing in sync with most appropriate product categories. Our advanced Volusion plugin for Walmart ensures error-free data entry and data transfer process. Our marketing pros are capped with experience and expertise and offer you automated product listing, inventory management services with acuity and precision. It is time that you trash your business worries and leave the task of Volusion and Walmart integration with us. Call now for quick service!